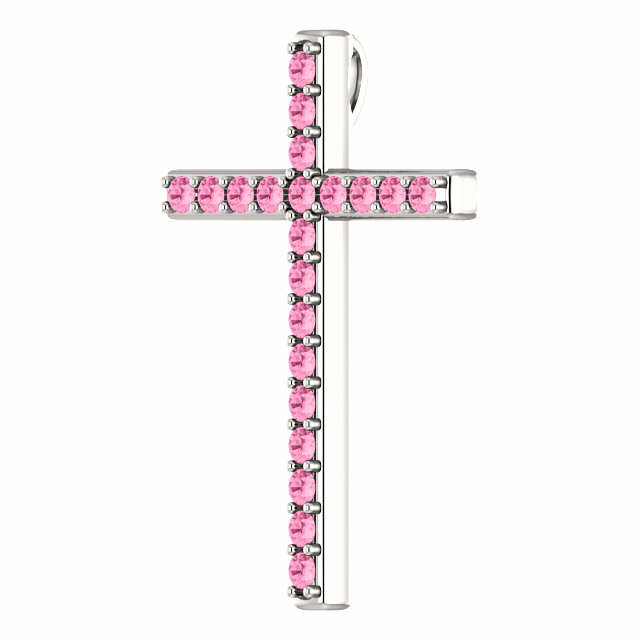 The soft, pretty colors of the pink sapphire cross pendant in white gold is a gentle reminder that faith, charity, and hope are the only enduring things in life. The most famous Bible passage on love declares: "And now abideth faith, hope, charity, these three; but the greatest of these is charity" (1 Corinthians 13:13). Wear this beautiful gemstone cross pendant as a daily reminder to love. 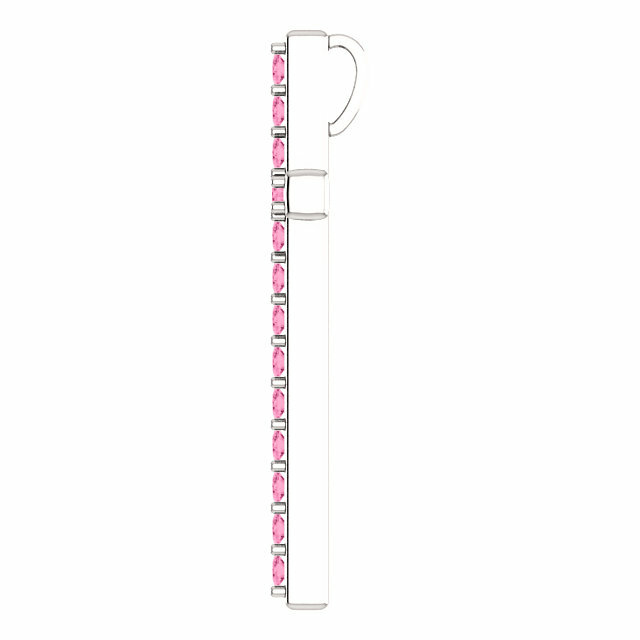 Set with 21 "A" rated 2mm pink sapphire gemstones in your choice of 10k, 14k, or 18k white gold or platinum (please allow an additional 7 days for platinum orders). The pendant measures 1 1/4" tall x 0.85" wide and has a hidden hoop/bale that doesn't detract any attention away from the beautiful pink gems on the cross when worn. Add a matching white gold cable link chain necklace or wear it with any necklace of your choosing. 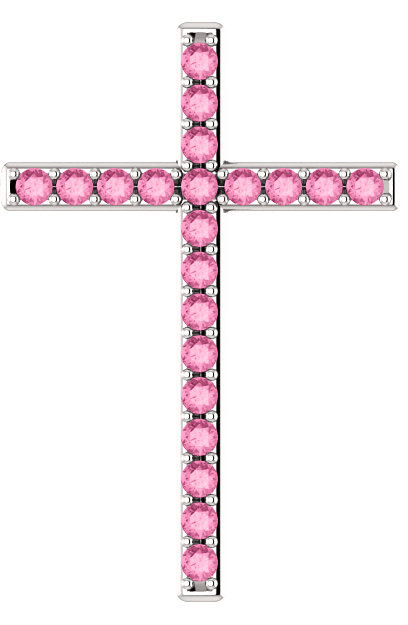 We guarantee our Faith Hope Charity Pink Sapphire Cross Pendant in White Gold to be high quality, authentic jewelry, as described above.